Like our Parmesan Crusted Chicken? 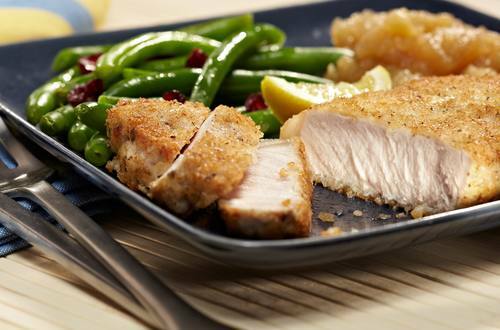 Then give our Parmesan Crusted Pork Chops a try! Baked Pork Chops with the same parmesan and bread crumb crust that's impossible not to love! 2 Combine Hellmann's® or Best Foods® Real Mayonnaise with cheese in medium bowl. Arrange chops on baking sheet. Evenly top with Mayonnaise mixture, then sprinkle with bread crumbs. 3 Bake until chops are done, about 20 minutes.